How and where to sell jewelry, watches and diamonds is a topic of discussion at some point in every ones lives. There are so many outlets to sell jewelry in Boca Raton and other areas all over the world. Before making any rash decisions consider your options. The best possible option is to sell the item privately, to someone you know. That way you can get very fair market value for your jewelry. If this does not seem like a good option for you, you can always consider posting to the internet on multiple platforms. The best being Ebay. If you decide to try to sell your jewelry, watches or diamonds on Ebay make sure you have paperwork to go with it such as an appraisal. This will give credibility to the piece of jewelry you are trying to sell. Bare in mind that on Ebay there are many scams and items need to be refundable, so do your homework before listing an item on Ebay for sale. We do not recommend listing to Craigslist. The reason we do not recommend Craigslist is because it lets potential buyers know you have something valuable to sell and deals have to be done in person. This leaves you open to a potential robbery. The third and probably best choice is to visit your local jeweler. Get a few opinions and depending on the type of item you have for sale you can gauge its value by how much they are selling for online. Make sure you are paid on the spot and verify the funds are available in the jewelers account. Week 7 in the NFL is fast approaching which means another chance for you to win a Tag Heuer sports watch in the Sports Watch Weekly Giveaway. Last week followed the trend of huge upsets and exciting endings. Two of the early games last week went to overtime and many others came down to the last possession. “TKAINE” won last weeks prize with an impressive 11-3 record; which seems almost impossible looking back at the crazy upsets (i.e. the Rams beating the Chargers and the Seahawks handing it to the Bears). Week 7 may prove to be a make or break week for several teams. After having Super Bowl aspirations, the Dallas Cowboys are off to a 1-4 start; obviously not what they expected. They are hosting the Super Bowl this year and many analysts picked them to be the first team ever to have a home Super Bowl game. If they lose this week you can kiss those dreams goodbye. The Cowboys play the 4-2 Giants on Monday Night Football. Another team in serious jeopardy of missing the playoffs is the San Diego Chargers. Once thought of as the most talented team in the league, it seems as if they are falling apart. Their all pro receiver Vincent Jackson is still holding out for a new contract and their best pass-rusher Shawn Merriman is leaving the team. After week 6 they stand at 2-4. If they lose this week it is going to be almost impossible to come back and make the playoffs. Although they do play in a weak division so I cannot count them out completely, but they will have a lot of work to do. The Chargers are hosting the 4-1 Patriots at 4:15 on Sunday. I think everyone would agree the most intriguing match-up this week is between the 4-1 Pittsburgh Steelers visiting the 3-2 Miami Dolphins. On paper it seems like a no brainer that the Steelers should win this game. After all, they went 3-1 without their premier quarterback, Ben Roethlisberger, and now he’s back. And Ben had an impressive first week back last week (257 yds, 3tds) against the Browns. After only one game looks like he is in mid season form. On the other hand you have the Miami Dolphins: a 3-2 team who have looked terrific in spots and horrible in others. After barely beating an awful Buffalo team in week one, the Fins went on the road and beat a Minnesota Vikings team who were one of the favorites to win the NFC. They were 2-0. Week 3 they played well against the Jets at home but lost, and week 4 they were blown out at home against the Patriots leaving them 2-2. After a week 5 bye week they went to Green Bay against a desperate Packers team and beat them at home; an unprobable win. Now the Dolphins sit at 3-2 hosting the Steelers who are arguably the best team in the league. But to say that the Steelers will win this game in any convincing fashion is impossible. We’ve seen the Dolphins beat a good Vikings team, play well against the Jets, and beat the Packers. Making this game even more interesting is the fact that the Dolphins are 0-2 at home. In football there is usually a 3 point advantage given to the home team (Dolphins are home for this match-up). But does home field advantage make a difference in this game? Many would argue no, not only because the Fins are 0-2 at home, but also because Sun Life Stadium is usually half and half with home versus away fans. So, in conclusion, although it seems Pittsburgh is the clear cut favorite I will still give the Dolphins a chance. I think it will come down to a last second field goal but I am going to stick with the Steelers winning. Good luck in week 7 everyone and I will see the winner next week to pick up their Tag Heuer. If you are looking to get your watch repaired or serviced, performing a simple search online will inundate you with hundreds of watchmakers and jewelery stores offering their services. With so many options it is very difficult to know which watchmaker you can entrust to perform quality work on your luxury watch. That is why the American Watchmakers-Clockmakers Institute (AWCI) with the cooperation of some of the leading premium Swiss watch brands (Rolex, Omega and Breitling), have created a series of certifications for watchmakers. 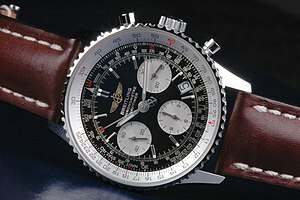 These series of certifications is known as the Certified Watchmaker Twenty-First Century or CW21 for short. In order for a watchmaker to become CW21 certified they must pass a written test involving watch gear calculations and theory in general as it pertains to the watchmaking profession. They also must repair a modern Swiss made automatic, chronograph and quartz watch with all the pertinent adjustments and know how to use a watchmaker’s lathe to perform hand-held graver turning operations. The CW21 certification is the highest and most rigid standard for watchmakers to achieve and maintain, so much so that there are only about 130 fully certified CW21 watchmakers in the United States. That number includes Raymond Lee Jewelers own CW21 certified watchmaker and watch repair specialist! Our fully certified CW21 watchmaker provides only the most excellent service and is able to maintain this standard of excellence by possessing extraordinary skills and knowledge for servicing luxury watches. As a certified CW21, our watchmaker is c0nsidered to have the highest level of skills applicable in the watch industry. Remember only those who have passed the new CW21 exam can claim such a title. If you are at an other jewelry store and they claim to have CW21 certification and cannot provide proof they likely do not have a real CW21 certified watchmaker. Raymond Lee Jewelers is proud to have a CW21 watchmaker on staff and will always provide proof upon request. Why Are There Jewelry Buyers On Every Corner? modcloth blog modcloth blog: vintage fashion, accessories, books and more! Fashion Me Fabulous Etsy shops, vintage websites, reader polls, project design, weekly round-ups of independent designers! The Urban Gentleman Men’s Style. Men’s Fashion. Men’s Grooming. Karlas Closet Strictly Vintage. Simply Victorious!